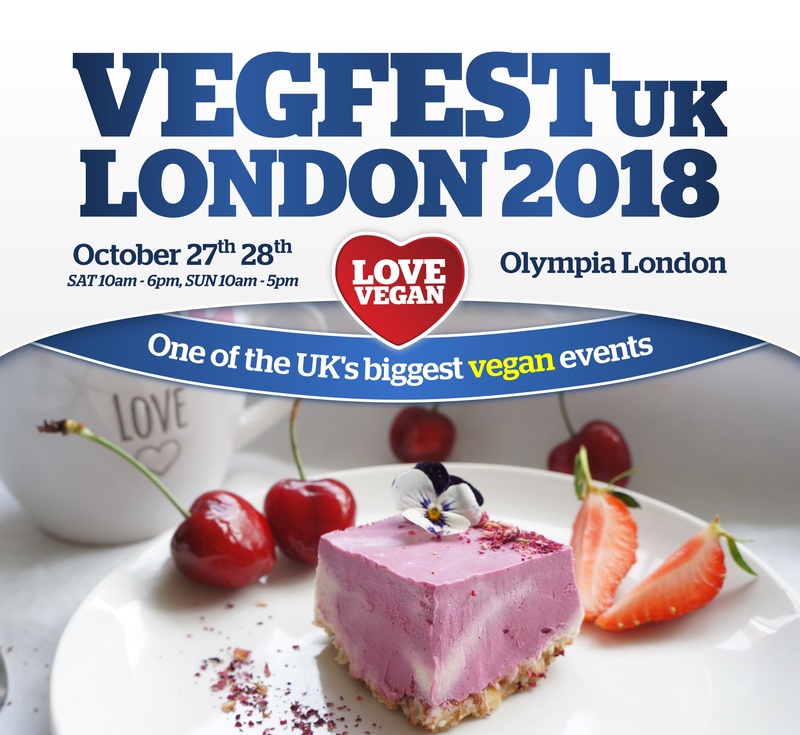 One of the UK's biggest vegan event VegfestUK London returns to Olympia London for the 6th year running on October 27-28, with an extra 3,200 sam exhibition space added to the floor plan from the previous year's event. Visitors can look forward to a wide range of activities, including: a Vegan Food Village with 25 global caterers, Shopping from over 275 exhibitors with one-off show specials available, talks on Health, Environment, Fitness, Wellness, Permaculture, Justice, Radical Veganism, Activism, alongside Yoga and Qi Gong sessions, a Cinema, a Living Raw Zone, Cookery Demos, Comedy, an Art Exhibition, a Kids Area, a 450-seater Auditorium hosting panels and entertainment, Live Music and more! Tickets are barcoded and will be sent out via email two weeks before the event. These can be printed off or displayed on your smartphone. We are extending BOGOF Sunday concession options to October 7th to give Students an extra option to attend, and to promote during Fresher's Weeks.